This morning I woke up and peered outside my bedroom window to check the weather. It was a balmy 3 degrees Fahrenheit. Winter cannot only wreak havoc on daily driving conditions, but it can also cause harm to our hair care and skin care routines. 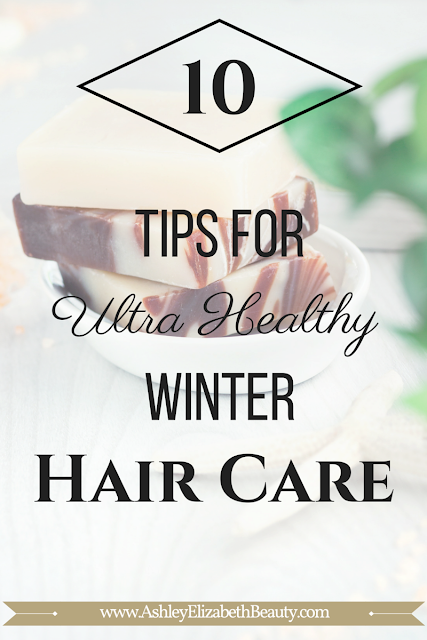 With these simple 10 hair care tips you can make sure your locks remain beautiful, soft, strong and healthy throughout the frigid winter months. Braids and buns, people...braids and buns. Braids are very on trend right now, and there is an added benefit because they are actually very good for your hair. Braids will keep your strands tangle free and will not cause breakage. After allowing my hair to air dry I will put my hair in a simple braid before bed. With this method I wake up with beautiful untangled hair that I can either keep curly or straighten. Buns are a great way to pull your hair out of your face and keep your strands from being gnarled and whipped around in the cold and dry winter air. I can always notice the biggest difference in my hair when I apply oil to the ends of my hair and when I do not. Especially in the winter, your ends are begging for moisture and hydration. My favorite oil to use is Organix Renewing Argan Oil of Morocco. I use this after I have washed and towel dried my hair by squeezing a quarter-sized amount into the palm of my hand and then working it into the ends of my hair. The oil is infused into the hair shaft to soften and strengthen those delicate ends. Cold winter air can cause the natural oils to be removed from your hair, leave your hair dry and frizzy. Try to use a deep conditioner or hair mask once per week in order to infuse more of those oils back into your hair. I use this DIY Natural Hair Mask recipe, which is a great way to make your hair feel softer and look shinier and healthier. When you do shampoo your hair, make sure you are using a moisturizing shampoo as well as conditioner. Try to use warm water to wash your hair instead of hot, which is more likely to cause dryness and leave your hair with less moisture. If the base of your strands tend to be oily or greasy in between washes (like mine) try a dry shampoo. My favorite dry shampoo is Batiste; they even have an option for Dark and Deep Brown Hair, which is my favorite in their wide range of dry shampoo. I also have a DIY Easy and Natural Dry Shampoo recipes for both light and dark hair that allows you to make a dry shampoo at home using products you probably already have in your kitchen. Never use a regular comb or brush to detangle your hair after a shower. Hair strands are weakened and even more prone to breakage while they are wet. Use a wide toothed comb or any other comb specifically designed for wet hair. My go-to after shower brush for years has been The Wet Brush, which not only detangles your hair but leaves it silky smooth. After you have finished washing your hair, use a microfiber towel or old t-shirt to blot and gently rough dry your hair. This will help to remove the excess moisture while preventing breakage and frizz. While you are getting ready for the day do not wrap your head in a towel. Instead, pull the top half of your hair back in a clip, allowing your hair to air dry as you are getting ready. Blow drying can take the moisture right out of your hair. Allowing your hair to air dry is the best possible option, but if you cannot air dry and must use a blow dryer try to use it on the cool setting. Before using heat on your hair make sure to apply a hair oil or serum, such as argan oil, a leave in conditioner, and a heat protection spray. Allow your hair to dry overnight by washing your hair before bed, letting as much as possible air dry, and then putting your hair in a braid. Do not leave your tresses alone to brave the cold winter elements. Tuck your hair into your scarf when you go outside or pull your strands up into a hat. If you don't have a hat or prefer not to have hat hair, cover your entire head with your scarf and tie underneath the chin. The sun can still have damaging effects on hair during the winter and you should try to keep it covered as much as possible. Foods rich in Iron, Zinc, Omega-3 Fatty Acids, and Protein will help to stimulate hair follicles for growth. Rotate between lean red meat, chicken and fish every week for the best hair health. Also, make sure you are taking your vitamins! In addition to a daily multi-vitamin, try a Hair, Skin and Nails vitamin supplement. The right nutrients will allow your hair to become healthy, strong and grow faster. One of the worst things you can do for your hair is to skip on your regular trimmings. Even if you are trying to grow your hair out, healthy hair needs to stay trimmed. Ultimately, your hair will grow faster because of this. Once your hair has split ends there is no way to repair those strands, and hair becomes so thin that it breaks. Keep hair trimmed to prevent breakage before it starts. Having a haircut every six to eight weeks will prevent split ends. 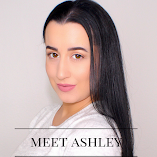 If you're like me and dread going to the hair stylist out of fear they will cut too much off your growing tresses, check out my DIY Hair Tutorial: 7 Steps on How I Cut my Long Hair at Home. Use these 10 hair care tips and tricks to keep your hair in the best shape possible during the harshest months of the year. Just a little effort on a daily basis will give you amazing results and longer, stronger, and healthier hair. What additional actions do YOU take to keep your hair healthy in the winter?